Television is the main place Americans say they turn to for news about current events (55 per cent), leading the Internet, at 21 per cent. Nine per cent say newspapers or other print publications are their main news source, followed by radio, at 6 per cent, according to a Gallup poll. 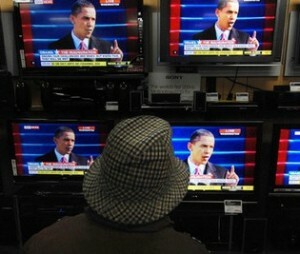 More than half the references to television are general, with 26 per cent simply saying they watch television or TV news, 4 per cent saying they watch local TV news, and 2 per cent saying they watch the “evening news.” The two leading 24-hour cable news channels – Fox News and CNN – are named by 8 per cent and 7 per cent, respectively. However, no other specific channel – including MSNBC, PBS, BBC, and all of the US broadcast networks that once dominated the news landscape – is mentioned by more than 1 per cent of Americans. The vast majority of those citing the Internet – 18 per cent of all Americans – either mention the Internet generally or say they get their news “online.” Two per cent identify Facebook, Twitter, or social media as their source, while 1 per cent mention a specific online news site. At the same time, heavy reliance on print is exclusive to seniors, among whom 18 per cent cite newspapers or other print publications as their main source of news. By contrast, 6 per cent to 8 per cent of younger age groups rely on print.